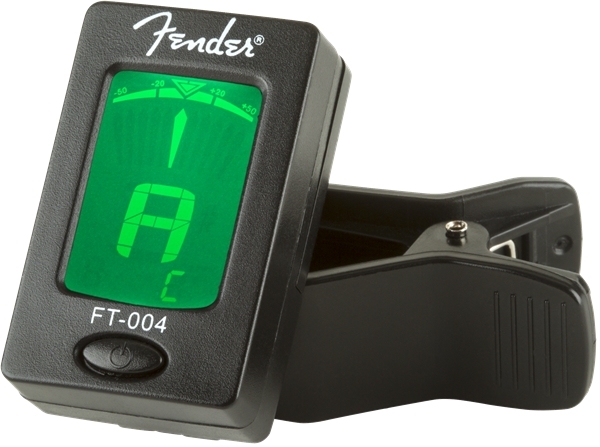 The small format FT-004 Fender Clip-On Tuner is easy to operate even under darkened stage conditions. Built-in vibration sensor for accurate tuning even in noisy areas. The large LCD display with easy-to-read needle shows white when out of tune and bright green when in tune. 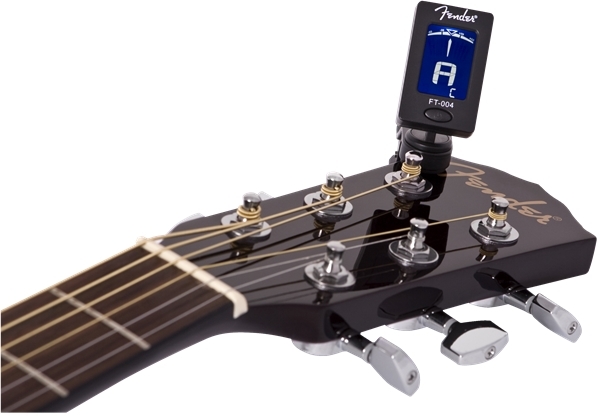 Here is what the tuner looks like on an acoustic guitar. This is the back of the tuner. 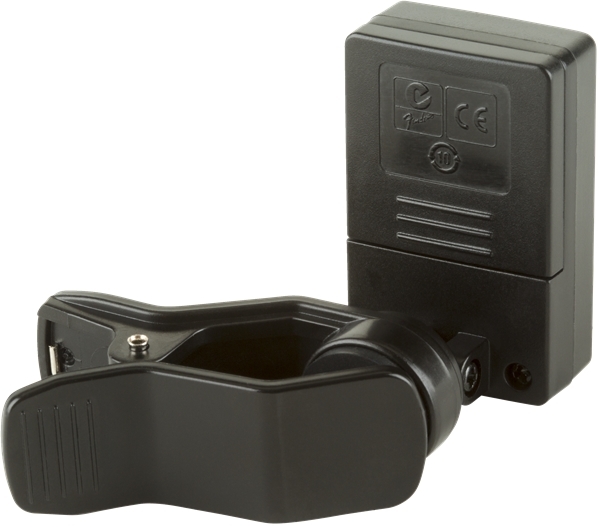 • Small, compact size one-handed swivel clamp. • Guitar, Bass, Ukulele, Violin and Chromatic tuning modes. • Tuning range B0 – B7. A4 Calibration: 440Hz.